I cannot count the times I went to Trinoma Landmark to check their available hair colors for Palty. I was never interested in other brands of hair colors before (not until my friend told me that japanese colors leaves you with no brassy strands!) I believe and stand by Hortaleza brands of hair color, never did I experienced of a fail hair color with Hortaleza. Because Palty is more expensive than my old hair color I felt the need for research. at first I was leaning blonde, because if I can be blonde without the brass that would be soooo cool. No need for hair toners. 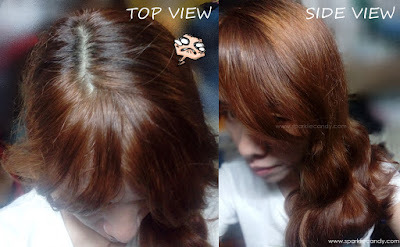 Moist and shiny light auburn hair color is sure to turn heads anywhere you might go. Long-wearing and vibrant color treats hair to the superbly hydrating ingredients of camellia oil, silicon and botanical protein, helping hair stay silky soft and protecting color for longer wear. DIY kit is equipped with all the materials needed, including detailed instructions, for a salon-level dye job in the privacy of your own personal space. The box is very kawaii and girly. However there is not much english on the box but its a good thing their instruction leaflet has english translation. One box is not enough for girls with longer than shoulder length hair so I bought 2 boxes. Because of the instruction leaflet the process was a breeze. 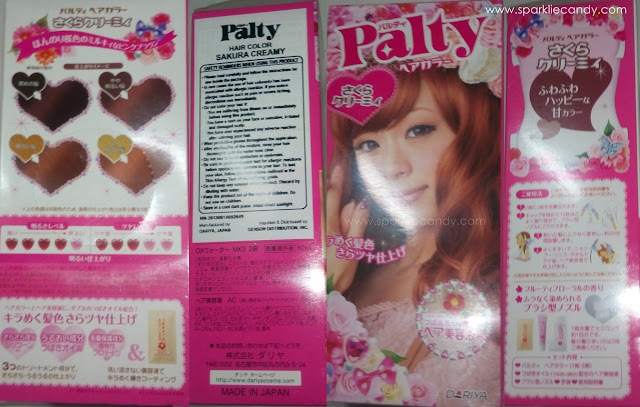 Below is the step by step guide on how to use Palty Hair Color. Squeeze the contents of the #1 solution (tube) into the #2 bottle solution. There is very faint ammonia smell. I was not bothered by it at all. Shake it off! Shake it off! 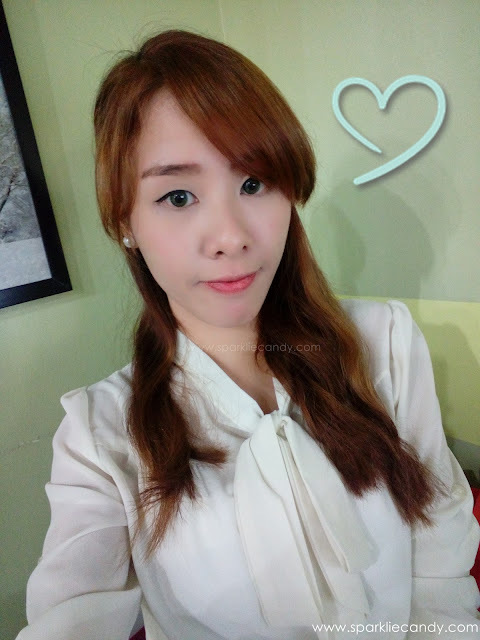 Ooh~ ooh~ Feeling like Taylor Swift haha. Change the cap to brush. My sister who helped me with coloring told me that it will be easy to actually do it alone. The bottle with the brush applicator is really nice. I hope every hair dye brand actually adapts this style. I waited more than an hour before washing it off. Use the Number 4 special treatment to bring back moisture to your hair. 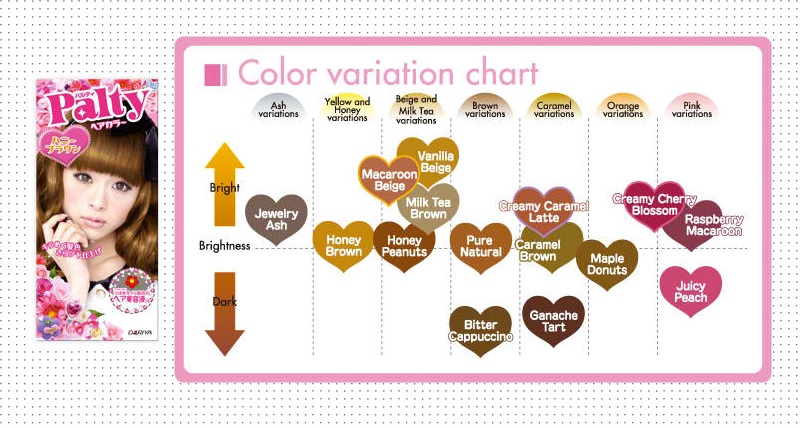 This is a color chart from Palty, like I've said I chose Sakura Creamy because I was kinda scared to go for the full red shade as it clearly fitted the pink variant while Sakura Creamy border lined the orange and pink shade. After around 3 days here is the color..